I think of a time, less than 7 years ago, a time when I knew no note or chord or, lyric in its entirety. My apartment seemed a bit bigger back then. As I was straightening up my disheveled domicile this morning it occurred to me that my pad's beginning to look a lot like a second hand guitar store. 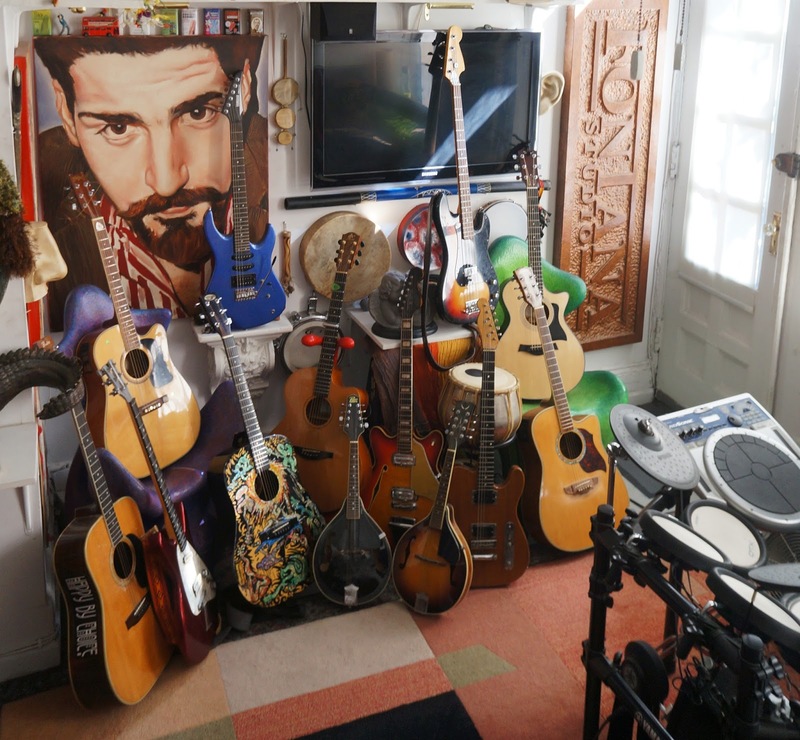 Of this small army of stringed musical devices, I actually only own one, a very so-so Washburn which I had first purchased in the beginning of my musical foray. Friends periodically leave their instruments in the safety of my musical haven and a fair sum of this grand plethora have been donated ensuring that the chest, so to speak, has more tools at hand. All axe's swing, so often so many in unison. With every guitar that magically appears, a little more of my living space vanishes in the wake of the instruments mass. It's a small price to pay for how my home so often sounds and for the beautiful visiting musicians whom I've been lucky enough to count as some of my dearest friends, without whom none of this would be.